RIM CEO Thorsten Heins made it clear at BlackBerry World that the LTE PlayBook tablet is coming later this year. This announcement is no surprise, yet it is confirmation of what we knew was coming. A BlackBerry PlayBook rocking 4G connectivity has been spied at FCC in the past hinting it was close to coming to market. With confirmation that the tablet is on its way, we still don’t know a firm launch date. Heins would only say, “later this year.” The bigger question now is with every other version of the PlayBook having failed at anything resembling a normal price, why does RIM think a 4G LTE version will do well? RIM apparently believes that BlackBerry 10 will solve some of the problems the tablet had. The company is reportedly happy with the hardware, and the software seems to be lacking point. 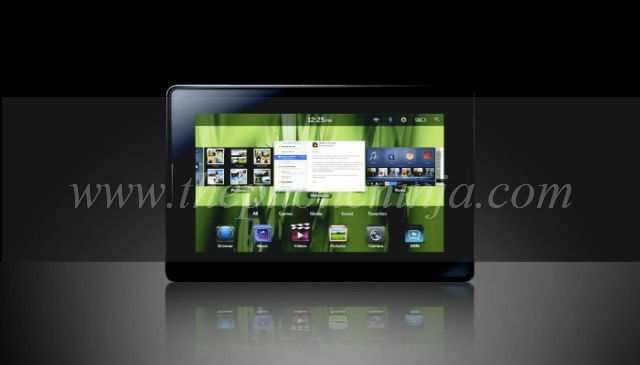 Would a PlayBook tablet with 4G LTE support BlackBerry 10 interest you? I think unless the tablet was very cheap most people will still opt for the iPad.